Distributor Platforms | Honeyville Metal, Inc. 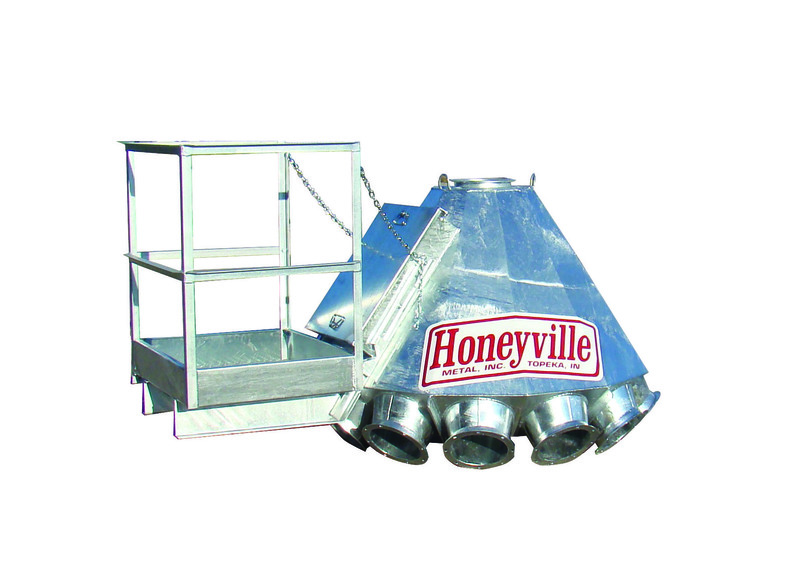 The Distributor Platform mounts onto a Honeyville Bucket Elevator and provides access to the bottom of the distributor. This is done to service the distributor control systems whether you are utilizing a pipe control, cable control, or EPC (electronic positioning control). The distributor platforms are designed in size specifically for the bucket elevator that it is being installed on.